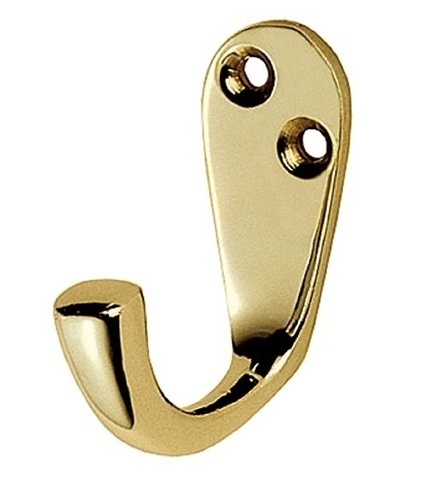 The single coat hook that we offer are very simple in design yet are bought in bulk by our esteemed clients owing to its rich quality yet reasonable rates. These can be availed in a number of sizes. Established in the year 1998, at Gurgaon, Haryana, India, we "The Merchants," are one of the leading and well recognized manufacturers and exporters of Brass Builder Hardware, Door Knobs, Door Knockers, Curtain Hooks, Lever Handles and Cabinet Fittings. With involved business operations, these brass metal based Door & Window Hardware and Builders Hardware products offered by us shows our determined approach. Our capability to deliver consistent performance has assisted us in becoming one of the most dependable source of quality hardware items.